I was struck today by something Harry Brighouse remarked at Crooked Timber (drawing on his own graduation remarks). Last Friday, as my last work event at Whittier College (since my postdoc contract is finishing up), I went to graduation. A few observations on graduation as seen from the faculty perspective seem to be in order. If Noam Chomsky had done nothing else, he would have given us one of the strongest critique of the New York Times as the guarantor of nationalist ideology for the U.S.’s professional-managerial classes. But there’s another good reason to not read the Times besides its obvious ideological problems. Namely: that it promotes an intellectual monoculture. Too many scholars and academics read it to the exclusion of anything else. Back in 2011 I facilitated a workshop at the University of Chicago on “actually scary critique.” The workshop didn’t really work out because it never really reached its object; it just ended up getting swallowed up by its own conceptual preliminaries. It is an exaggeration to say that all Marxist theory people are men. But the historical masculinity of that little world — let’s face it —is hard to underestimate. I’m not talking about political Marxists here— though if we look at France, for instance, the Trotskyist Nathalie Artaud is essentially invisible compared to the Communist-backed Jean-Luc Mélenchon, though both are running for president. In so many ways, academic work is hard to recognize as being work in the standard wage-labor sense of that word. It can take place at all hours of day or night, outside of standard workplaces, without wearing standard work clothing — in bed with the laptop at midnight, perhaps. American popular stereotypes allege that teaching is outside the realm of productive action and thus second-rate — “those who can’t do, teach.” That’s a maxim which devalues the feminine work of reproduction in favor of an implicitly masculine image of labor, but I digress; my point here is just that such claims reinforce the image of academic work as being in a world of its own. I have my doubts about whether precarity is always a good category for academic labor organizing. But from within the universe of European precarity discourse, I especially admire Mariya Ivancheva’s recent summary of the situation of early career researchers in her 2015 paper “The Age of Precarity and the New Challenges to the Academic Profession“. I’ve been working on a paper about the failure of left-wing internationalism at the “European counter-summits” (at least the two that I was able to observe in 2010 and 2011), and I’ve gotten interested in this love letter to the organizers of the 2011 Dijon counter-G8 university summit. A student left it on the ground in marker as they left the event, which was politically pretty unsuccessful, as my paper explains. I’m teaching an Anthropology of Europe class and I decided we’d end by talking about current events. So the week before this, we talked about the Greek economic crisis and Syriza. This week, we talked about Brexit. On Thursday, we talked about Islam and political violence in Europe (France in 2015 — Charlie Hebdo and the Bataclan — and then, by way of contrast, Germany in 1993 — the Solingen burning of a Turkish family’s home). It’s been a fun year for me (leaving aside here, you know, many disturbing political events, trends, pomps and circumstances, because this isn’t that kind of blog) because some of my post-dissertation work is actually in print. But I was more intrigued by Plato’s remarkable, zany account of the origins of ambivalence, which I don’t think has gotten so much recognition. We have to be a bit anachronistic to read “ambivalence” into this text, to be sure, since the term in its modern psychological sense was coined by Eugen Bleuler in 1911. Nevertheless, I want to explore here how Plato comes up with something that really seems like a concept of ambivalence avant la lettre. It emerges in the text from his long meditation on the nature of a guardian, which is premised on the initial assumption that the guardian’s nature (or anyone’s nature) has to be singular and coherent. Neoliberalism is in the first instance a theory of political economic practices that proposes that human well-being can best be advanced by liberating individual entrepreneurial freedoms and skills within an institutional framework characterized by strong private property rights, free markets, and free trade. I usually prefer to talk about “New Public Management” instead of “neoliberalism,” though, because it more directly picks out a set of governing techniques (audits/markets/contracts + incentives) and leaves aside the question of the “philosophy” (if any) that lies beneath. Almost a year after the national wave of #MeToo stories in the United States, and almost two years after the release of the Donald Trump Access Hollywood tape, I’m still thinking about #MeTooAnthro. I’ve especially been reading and rereading the stories on metooanthro.org, Bianca Williams’ writing about fieldwork experience, the 2016 story Anthropologists Say No to Sexual Harassment, and since yesterday, a new, particularly overwhelming set of reports about sexual assault by male anthropologists at CUNY. Anyway, here I just want to recount one incident that happened to me last decade. I haven’t seen a lot of nonwomen anthropologists writing about these sorts of workplace harassment stories. (The overwhelmingly predominant scenario is men harassing women, in any case.) I’m not trying to claim that my story is a remarkable one. But it does bring out some issues about power and abuse among precarious and temporary workers. And perhaps naively, I still think I have a right to write about my experience. It’s an older story now, and I changed all the names, since at this point, it’s not about anyone but me. I’ve started to tell them they can call me “Eli,” as a sign of… a sign of what? Familiarity? Informality? Friendliness? Being easygoing? Not wanting to reinforce the old-school hierarchies? Some combination of these. But it also occurs to me that telling my students what to call me is still a way of inhabiting authority, even if I ask them to call me something less-hierarchical. So instead of requesting that they call me “Eli,” I just frame it as giving them the option of calling me by [firstname]. They can exercise it as they choose. Is writing composition or improvisation? In my corner of the academy, one isn’t really taught much about writing. One is taught constantly to produce texts and to judge texts, but that isn’t the same thing, because writing is a process, and the text is merely the product. A theory of a product isn’t a theory of its production. The problem with this sort of writing advice is that it isn’t really about writing. It is about career success, behavioral self-optimization, and complying with norms. The second problem with writing advice is that it constantly equates writing with composition. But composition is only one metaphor for writing. Perhaps improvisation (to borrow a sibling musical category) is another possible metaphor for writing. Maybe it’s even a good one? I grew up partly in a college town, and I’ve been around college campuses most of my life. One of my favorite times of year is this late-summer empty moment that happens after summer sessions finish and before classes start for the fall. It’s peaceful; you get a clearer view of the space. 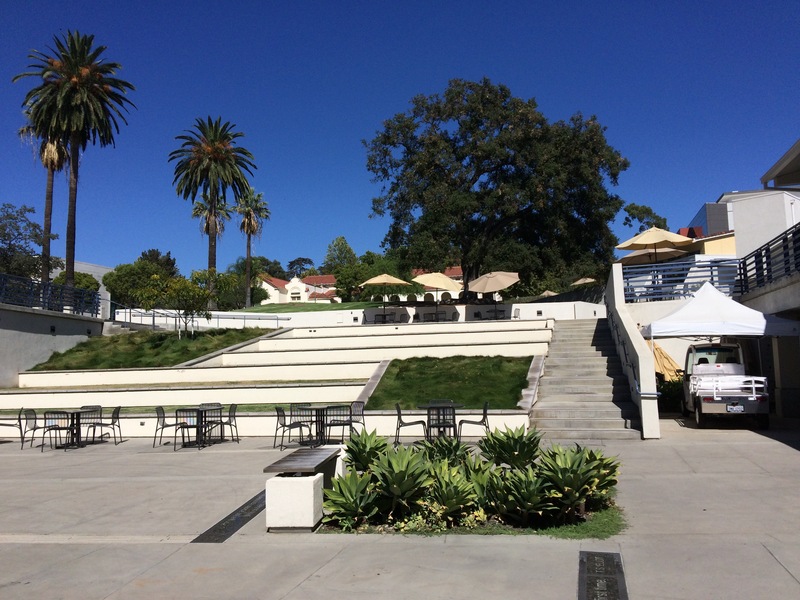 Here’s what Whittier College looks like this time of year. What are the depths of misery for you? : To lose my memory. Where would you like to live? : In a place to which I can always return, in other words from which I can leave. For what fault do you have the most indulgence? : Keeping a secret which one should not keep. Favourite hero in a novel: Bartleby. Your favourite heroines in real life? : I’m keeping that a secret. Your favourite quality in a man? : To be able to confess that he is afraid. Your favourite quality in a woman? : Thought. Who would you like to have been? : Another who would remember me a bit. My main character trait? : A certain lack of seriousness. My dream of happiness? : To continue dreaming. What would be my greatest misfortune? : Dying after the people I love. What I would like to be: A poet. What I hate more than anything? : Complacency and vulgarity. The reform I most admire: Everything to do with the difference between the sexes. The natural gift I would like to have: Musical genius. How I would like to die: Taken completely by surprise. My motto: Prefer to say yes.